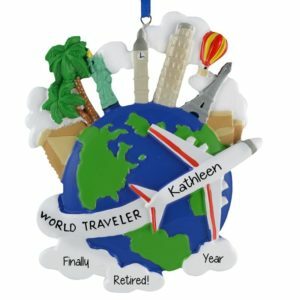 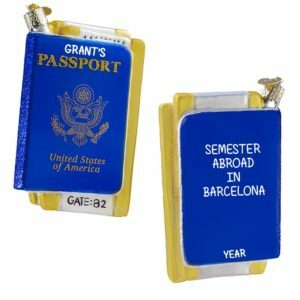 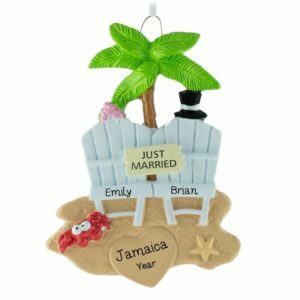 Personalized Ornaments For You offers a wide variety of travel abroad themed keepsakes to adorn your Christmas tree. Our talented writers will hand personalize your name, date, and sentiment on the memento you choose that best represents your travel memories. 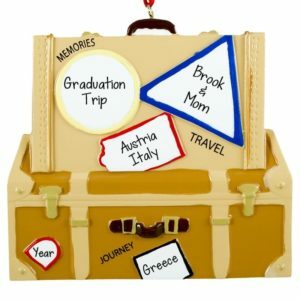 Perhaps your son or daughter took their first European trip and you would like to give them a keepsake to bring those memories back year after year. 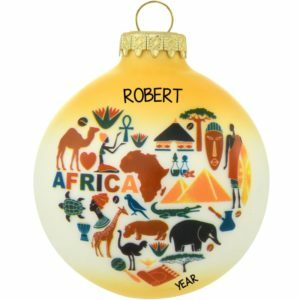 We have country specific ornaments for locations like England, Scotland, Ireland, France, Africa, Australia, Japan, etc. If your travels took you to a warmer locale, choose from Caribbean, South America, and Mexico – themed keepsakes. 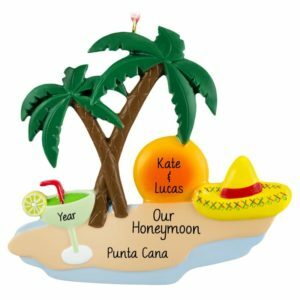 Maybe a hanging frame for the vacation photo of your choice. 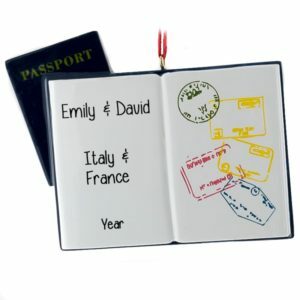 A single traveler or a traveling couple is a nice option as well. 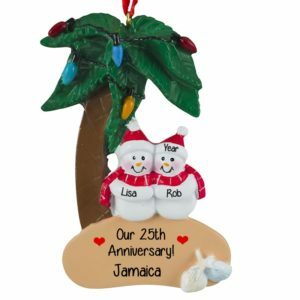 If looking for something a bit more unusual, we offer detailed Santas, wearing the traditional costumes of countries like Italy, Scotland, Germany and Poland. Whatever you choose, any of our travel abroad ornaments make wonderfully affordable gifts!